A successful website is something that everyone venturing into the new arena of Internet marketing and communications wants to have. Your website will often be a potential clients first impression of you and your business. That being said, it is vitally important that your website represent you in a favorable manner. Your website is a component of your overall marketing strategy and should be reflective of your business and current marketing presentation. Just as your brochures and other print materials represent a level of quality and professionalism, your website should also represent that same level of quality and professionalism. As a point of comparison, you most likely wouldn’t have just anyone design your company’s marketing materials or for that matter, prepare your tax statements. 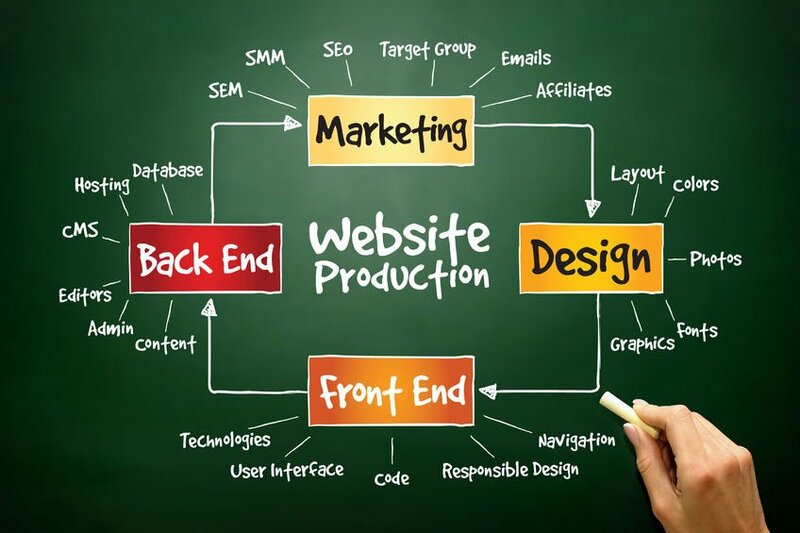 Similarly, it is important that the person creating your website know how to effectively communicate both your message and style, and be able to create an effective experience for those visiting your site. What does it really take to have your website be successful, and what are some of the most important steps you can take to make that happen? 1. If you intend to have a unique domain name for your website, you must first check to see if it is available. You can check to see if a domain name is currently registered at http://www.internic.net/whois.html. 2. Set a budget for your website. It is important to know how much you can spend on your project. In considering costs, remember that a website is a complex matrix of text and images and a professional execution is very important. As a generalization, the larger your investment, the greater your return. In order to spread your investment over time, you can also grow and expand your website gradually. Don’t forget to include costs for promotion and advertising. 3. Determine the purpose for your website and the intended results. Does this purpose support the mission and vision for your company? The number of options and variables that are possible in the design of a website are virtually endless. Without a clear idea of the purpose for your website, you may end up putting time, energy, and money into a project which doesnt meet your needs. If you know in advance the results you intend to achieve, you will be better equipped to create a website which will achieve those results. 4. Consider the design and layout of your website. Is it easy to use? Does it take too long to download? Is it easy for Internet visitors to find information? Does it meet the needs and expectations of your visitors? Several smaller pages eliminating the need for scrolling are often more effective than one long page. If an Internet visitor doesn’t have a positive experience of your website, she/he probably wont return, or wont tell someone else about it. An effective website often creates a reason for the visitor to return. This reason can take the form of unique information that changes on a regular basis, interesting and useful resources, or a way for visitors to communicate with you or with each other. Use your website to build a relationship with your Internet audience. No one will find your site if you don’t let them know about it. Your site must be posted to search engines such as Lycos, Yahoo, and Excite. There are approximately 20 to 30 main search engines and several hundred that are smaller or specialized. You can find an extensive list of website submission sites, services, and resources by searching Yahoo with Site_Announcement_and_Promotion. Include your website address on all your marketing materials; business cards, and advertising; you can even paint your address on the side of a company vehicle. The idea is to have as many people see your site address, and thus your website. You may also consider hiring a publicist to help you get the word out. 6. If at all possible, begin your website now. The companies which have been on the Internet the longest are those which achieve results sooner. If you are in an industry which isn’t widely represented on the Internet yet, so much the better – you’ll be able to start off with a larger market share. It’s estimated that there are about 200 million people using the internet with 75% of them in North America. Start your Internet presence today! Steve Lillo is the President of PlanetLink, a website design and consulting firm which specializes in creating websites which get results. They also provide their Web Doctor Service for increasing the effectiveness of existing websites. PlanetLink can be reached at https://www.planetlink.com or by telephone at 415-884-2022.